I discovered Dr Laurie Mischley via her video recording of a seminal presentation given by Laurie [see below]. I have since had a number of very fruitful dialogues with Laurie herself, both in online fora and privately, and can highly recommend her for her knowledge and understanding of Parkinson's Disease, but also for the success she is having in the treatment of her clients with PD. Indeed, Laurie is a new breed of naturopathic doctor, not only able to prescribe medication, but also fully educated in dietetics and nutrition. Laurie specializes in helping clients with Parkinson's Disease, and is working at the cutting edge of research on the disease. The purpose of this post is to further highlight the work of Dr Mischley, and also the benefits of choosing a holistic PD doctor. For updates or news, follow Laurie's facebook page. Now, here is the video I mentioned at the start. I am strongly recommending everyone with a PD diagnosis, everyone involved in care giving for people with PD and everyone involved in providing Parkinson's related healthcare, to take an hour to watch Laurie's presentation from beginning to end. I guarantee it will be one of the most important hours you've ever spent in relation to this disease and its management. "This pragmatic.. study offers... evidence-base for prescribing lifestyle modification (beyond exercise). Foods shown here to be associated with slower PD progression are common to the Mediterranean diet... [while] iron, beef, dairy, fried foods, diet soda, or canned goods provide environmental insults that accelerate disease progression... warrants immediate attention...minimizing exposure to these foods is justified." "...weight loss commonly occurs as the disease progresses.... Patients should be counseled on alternative sources of protein (e.g., beans, nuts, and seeds) and calcium (e.g., almonds, green leafy vegetables, and tofu)." "Fish oil supplementation is warranted in individuals with a diagnosis of PD and justified based on biological plausibility and the clinical epidemiological data. 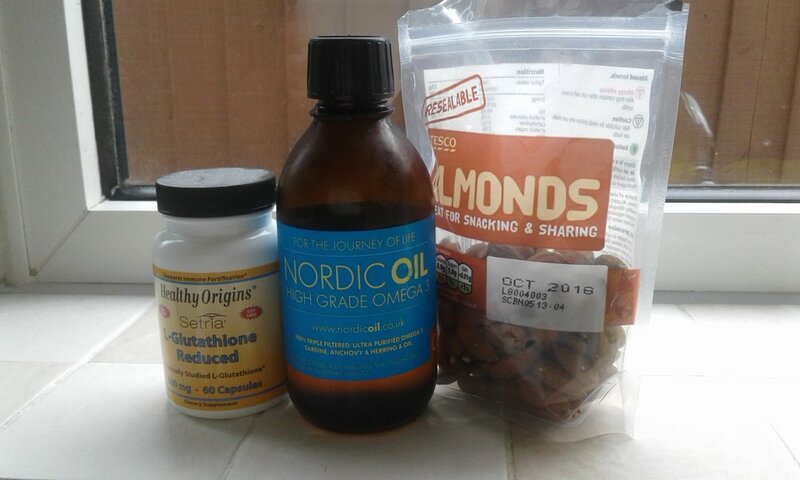 As fish oil supplements are sold over the counter, there is a tremendous amount of diversity in both content of EPA and DHA, as well as in quality (e.g., presence of contaminants)... familiarize themselves with available products and recommend buying from companies that perform analysis on stability, purity, and potency. Consumption of nonfried oily fish, such as herring, sardines, mackerel, and salmon should be encouraged." "Health care providers should routinely review patients’ supplement lists and ensure that the only patients taking iron are those with iron-deficiency anemia being treated under medical supervision. Because iron is commonly added to multivitamins, men and nonmenstruating women should not take a multivitamin containing iron, unless recommended by their physician." for more information about the neurotoxic effects of iron in people with Parkinson's Disease. "the single biggest predictor of rate of Parkinson's progression is if you answer true to 'are you lonely'?" Laurie has also pioneered a new and improved system for not only measuring the scale of symptoms, but also for easy recording of progression over time. This online system called "The Patient Reported Outcomes in Parkinson’s Disease" (PRO-PD) can be used by researchers to evaluate new therapies and treatments, but, very importantly, by people with PD themselves to evaluate impacts of lifestyle changes on their symptoms. Laurie and colleagues have been using this recording system themselves as an online data collection research tool. Quite simply, Laurie is using the input data from thousands of people with PD to determine statistically the factors which help to keep the disease at bay. This is, in my, view wellness engineering at its best - working out what actually works and applying it to ease suffering right now, not waiting for medical scientists to ponder why it works down to the level of trivia before it is rolled out to improve lives. Laurie says "I sure hope all of you are all reporting your successes to the CAM Care study!!! Your participation allows us to collect data on complementary therapies, so that docs/ researchers/other patients can be better informed". - a dissertation submitted in partial fulfillment of the requirements for the degree of Doctor of Philosophy, University of Washington 2016. Having become very intrigued by Laurie's work, I read her published PhD thesis, and, because it such a mine of information about PD, much of which I was unaware of myself, I started taking notes. I have decided to share my annotations here, simply because I do believe these could help people with PD to start thinking more for ourselves, and outside the box of hopleess degeneration that neurologist are still mis-informing us about. "Originally thought to be exclusively a motor disorder, PD is now recognized as a syndrome affecting non-motor and cognitive facilities. The most significant advance in PD therapeutics [was] ... the provision of the dopamine precursor, levodopa (l-dopa), provided symptomatic relief." "It is now known that the dopaminergic system is affected late in the course of the disease. While the provision of dopamine is essential for symptomatic relief, [...] prevention [...] efforts may, or may not, involve dopaminergic pathways. On autopsy, individuals with PD have distinct cellular inclusions, called Lewy bodies; an increasing body of literature suggests these inclusions first appear in the intestinal tract up to a decade before the disease and spread [...] up the vagus nerve, into the midbrain, eventually reaching the substantia nigra (SN)." "In every cell in the body, homeostastasis between radical exposure, both naturally occurring and environmentally induced, and the antioxidant mechanisms of the body are carefully regulated. When the capacity to reduce radicals is outweighed by the production of radicals, oxidative stress ensues. The high oxygen-dependentmetabolic activity naturally makes the brain vulnerable to oxidative damage. Given the delicate environment, it is reasonable that a generalized state of excessive oxidative [...] stress, the brain will be among the organs most severely affected." "The human brain is particularly vulnerable to oxidative stress due to its high metabolic activity. While it represents only about two percent of body weight, it is responsible for approximate 20% of total body metabolic activity. Glucose is the main fuel of the brain, but when glucose is low (i.e. fasting, ketogenic diets, exercise), the brain can use lactate during exercise and ketone bodies for fuel during glucose depletion. The general reliance on glucose means that, per tissue volume, the brain uses disproportionately more oxygen than other tissues." "Dopamine, produced in the SN, is especially prone to oxidation. When dopamine is produced (or possibly supplied as l-dopa) in excess of what can be removed... the dopamine molecule may autoxidize, it may be oxidized [...] to dopamine quinones which can react [...] to cause cellular toxicity, or it can react with iron, copper, or oxygen resulting in superoxide, or hydrogen peroxide." "[However] post mortem brains from individuals with premotor PD [also] show a deficiency of reduced glutathione [...] body of research supports the hypothesis that glauthione depletion contributes to PD and that [it] has therapeutic potential as [a] treatment [...] strategy. A major role of glauthione is in cellular detoxification. Glauthione is essential [... but] individuals with PD [...] appear unable to synthesize sufficient quantities to supply demand, [it] should be considered a conditionally essential vitamin [...] with increasing benefit from [supplementation] becoming apparent, with improved [...] cellular detoxification processes. Among those deficient, it is unlikely that food alone will be able to adequately supply needs, which are in excess of normal physiological demands." "[It] fluctuates in a rhythmic fashion... Glutathione peaks in the morning and detoxification activity peaks in the late afternoon. Not only do circadian rhythms impact Glutathione, [it...] may also impact chronobiological rhymicity. The role of sleep and circadian rhythm [involve] melatonin [which...] stimulates other antioxidants including glutathione [...] Studies demonstrate [...] susceptibility to pesticide exposure is regulated by circadian rhythm [...] able to restore glauthione [levels] in [...] muscular dystrophy via admininstration of oral melatonin."